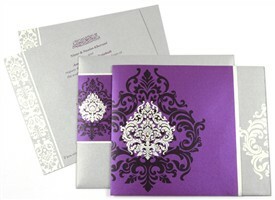 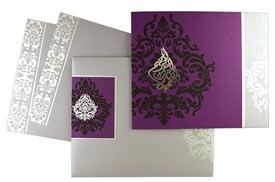 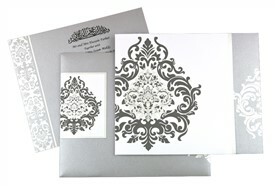 The card has beautiful damask motifs at the front and on the envelope. 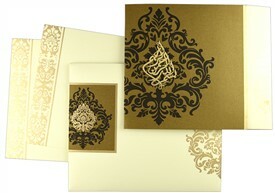 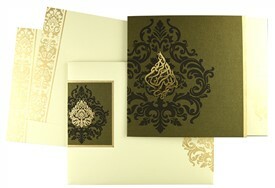 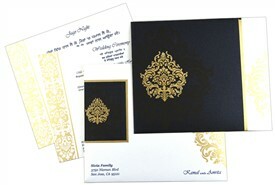 Gold printed “Damask” motif beautified with Kundan stones adorns the front of the card. 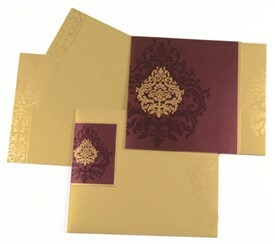 Inserts are beautified with gold border at left side. 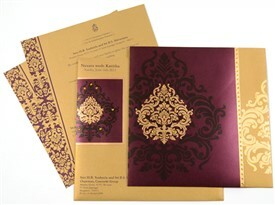 A stylish and elegant wedding invitation! 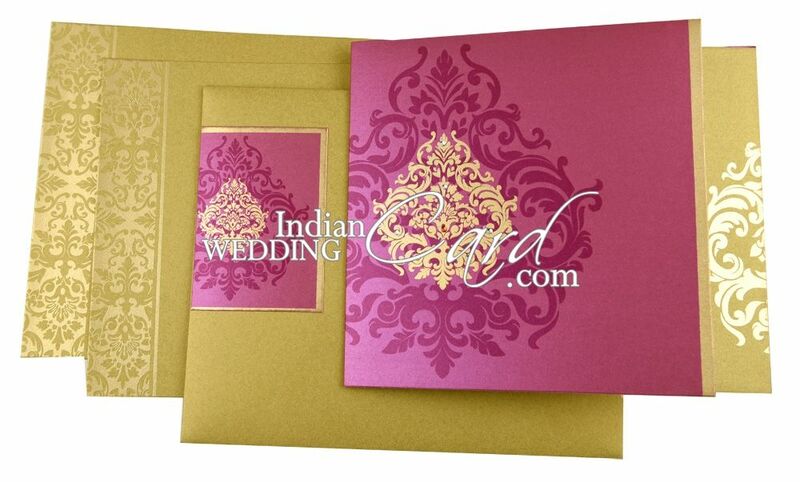 Shimmer pink paper (250 gsm) for main card. 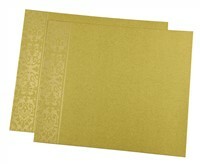 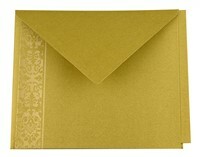 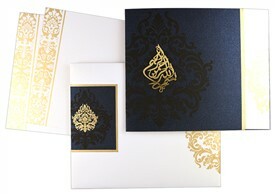 Gold shimmer paper (250 gsm) for 2 inserts, envelope and pocket.